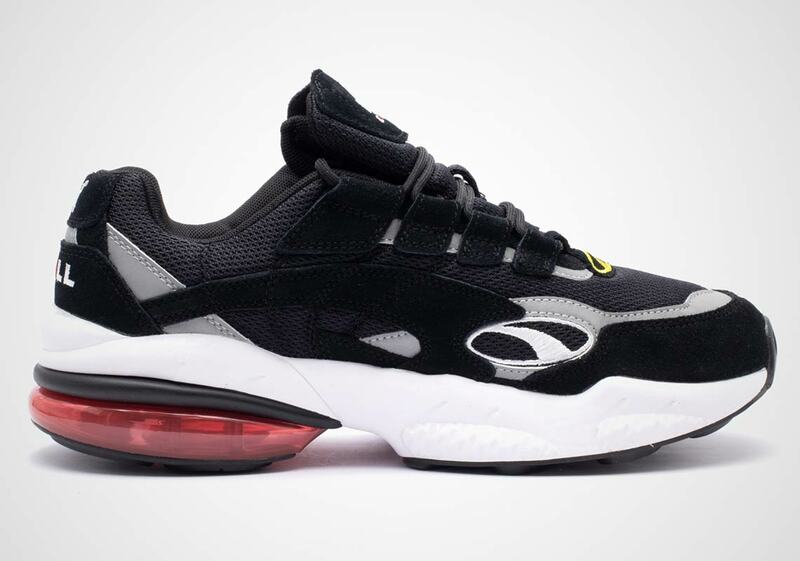 One, a historic German footwear company embodied by a sleek leaping cat. 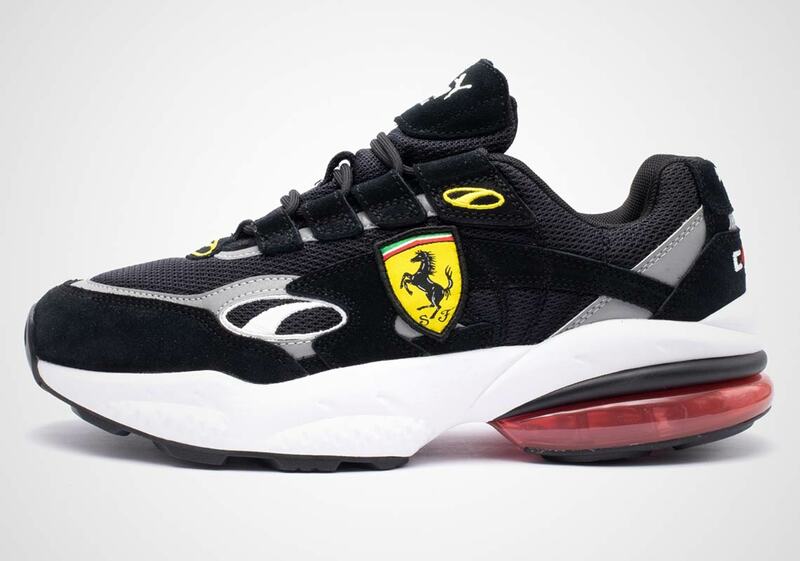 The Other, an Italian manufacturer of the world’s finest sportscars, represented by a powerful galloping steed. 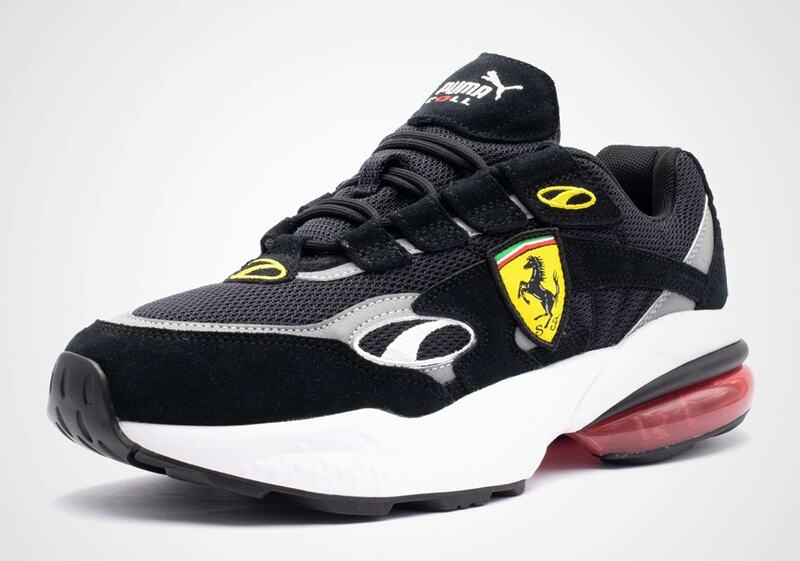 Puma and Ferrari occupy vastly different spaces, but they’re inherently familiar with one another due to their long collaborative history, having tackled everything from racing footwear to special branded apparel together. 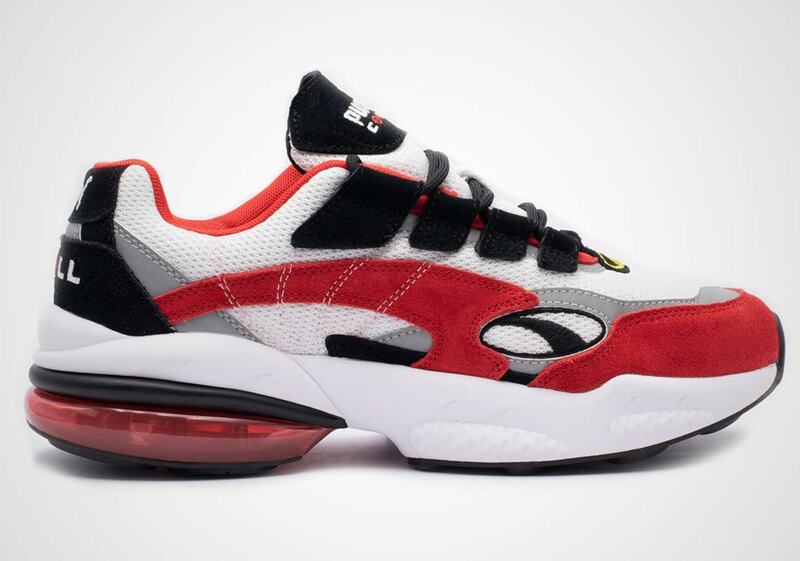 Now, the two partners are linking up again as Ferrari has brought two varieties of their signature speed-fueled Scuderia styling to one of Puma’s newest silhouettes: the Cell Venom. 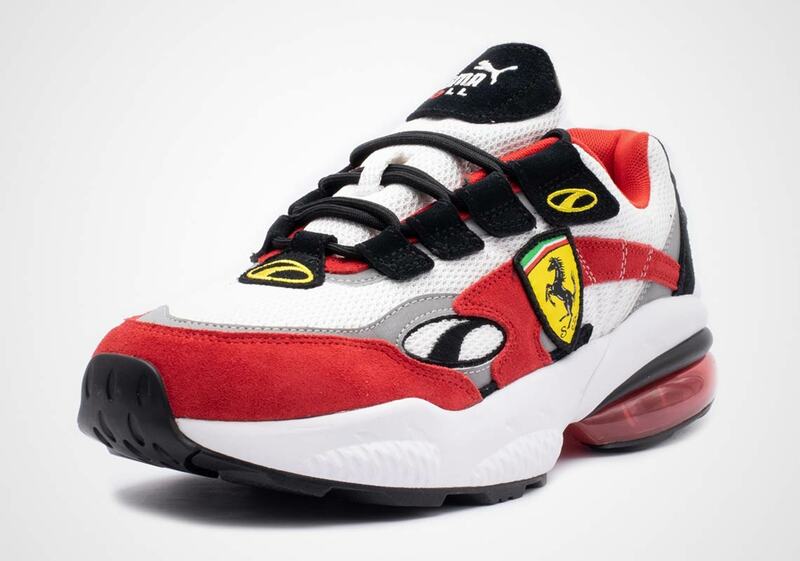 Each pair interprets the instantly recognizable Ferrari palette in different ways — one opts for a red/white scheme with black and high-vis silver accents, while the other does speed in a more subtle fashion, using a mostly black upper with yellow and high-vis silver hits. 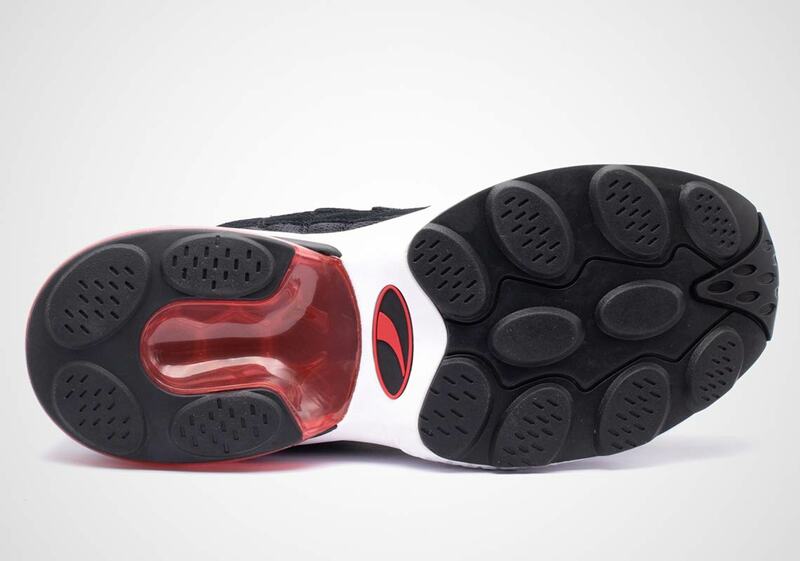 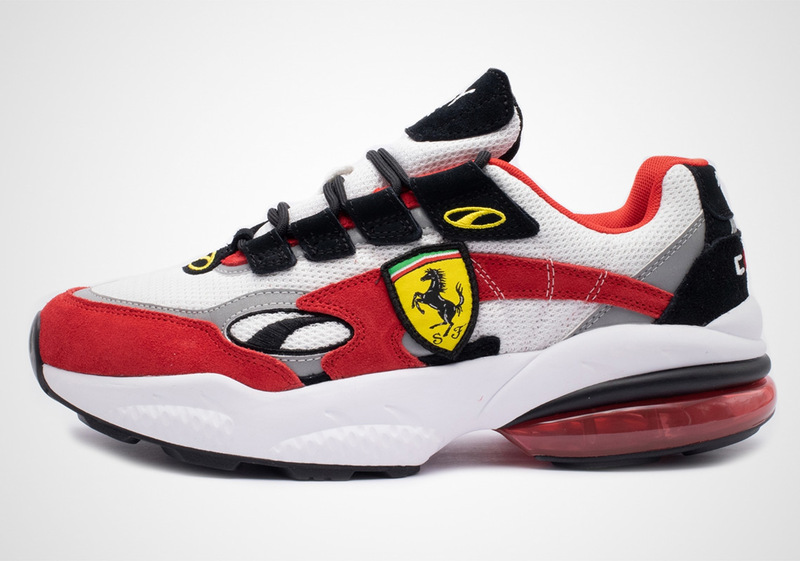 Each shoe then features a large embroidered Scuderia badge on the lateral quarter, a white midsole, and a red Cell heel cushioning unit to complete the race-ready look. 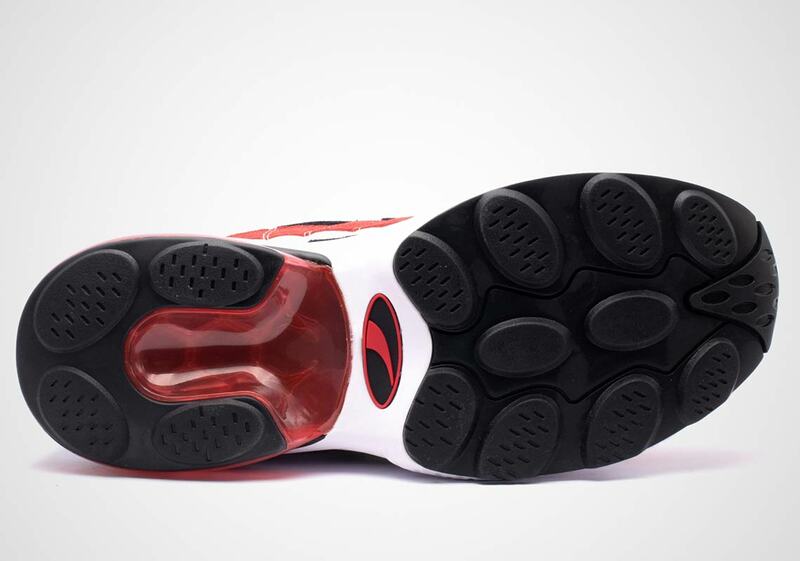 If you’re a Ferrari lover — or you just feel the need for a speedy new pair of kicks — you can look for both of these special Scuderia Cell Venoms to drop at the retailers listed below February 23rd.